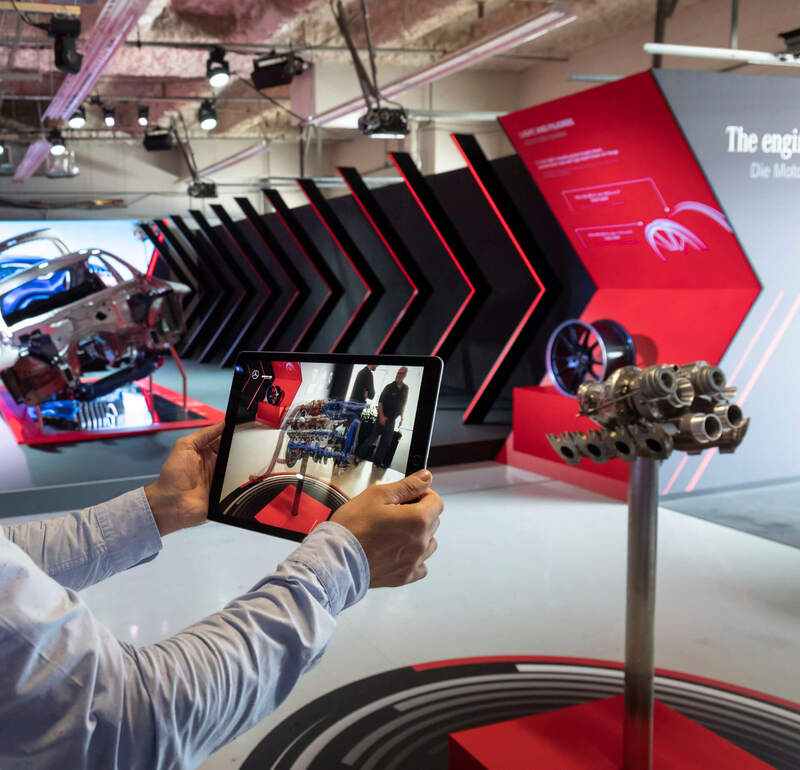 For the press driving days of the new AMG GT 4 door coupé, OSK Berlin developed a special app for the iPad pro: the AR app allows deep insights into the functionality of a turbocharger. 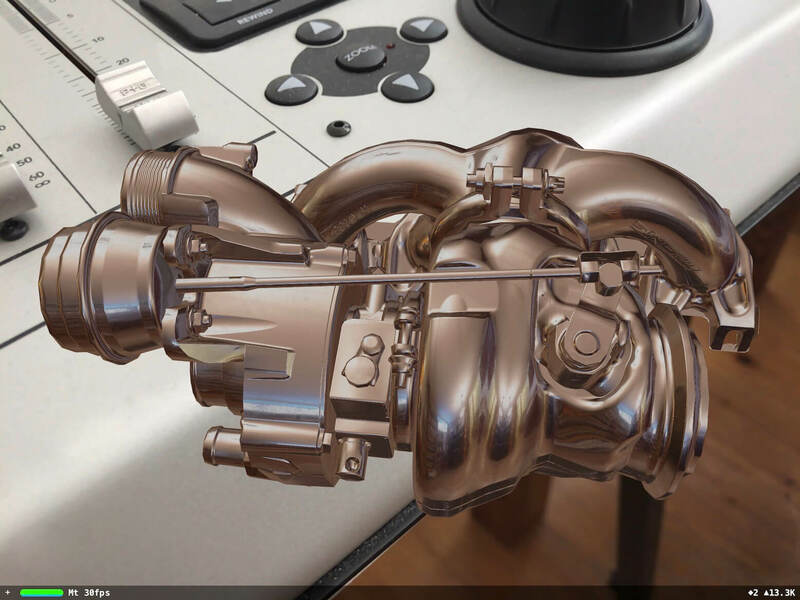 The app recognizes the real turbocharger exhibited in Austin during the press driving days. The application arranges the other engine parts around the turbocharger as an extension of reality. 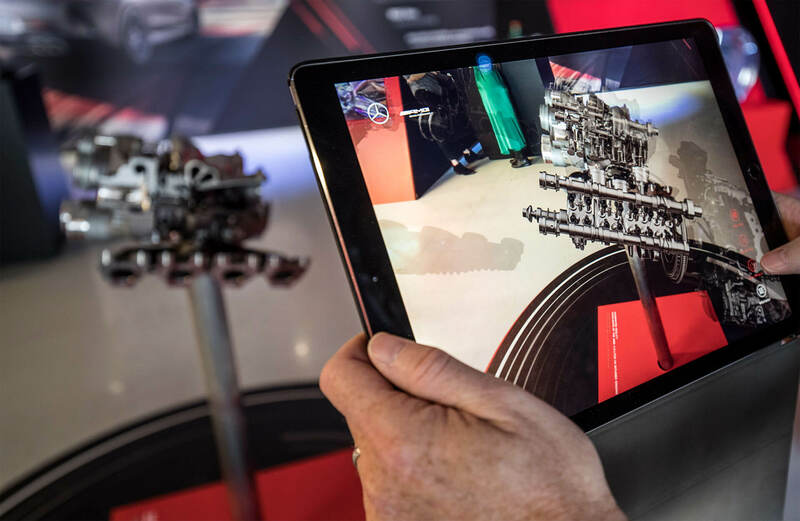 The model of the engine can be so realistically designed that the viewer gets the impression of seeing a real engine on the iPad that can be viewed from all sides. Several buttons of the app lead to more in-depth text information describing technical highlights of the engine. 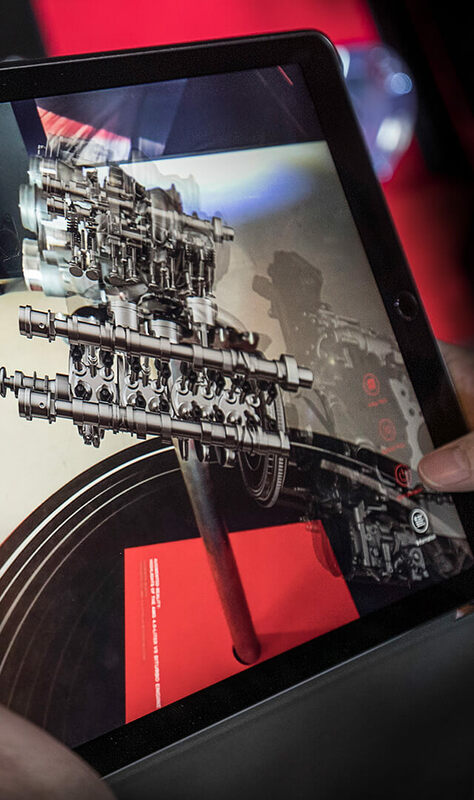 The app also animates numerous parts of the engine at the touch of a button, such as pistons, valves, crankshafts and camshafts. An exploded view places the individual components of the engine on an axis and thus gives a feeling for its construction. The X-ray view allows a view into the heart of the engine. In this mode, an animation of the air flow through the engine and the new turbocharger can also be followed. 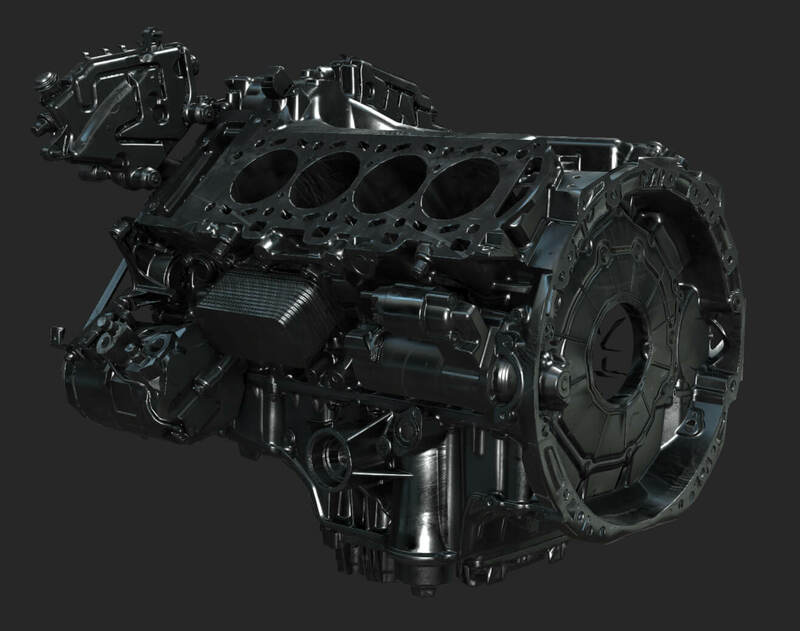 In order to achieve these visual effects, the OSK team first analyzed the original AMG engine CAD files. Next, each component was reconstructed by hand in a new data format. Finally, gloss and shading effects that make the engine look so real were added to the 3D model surfaces. 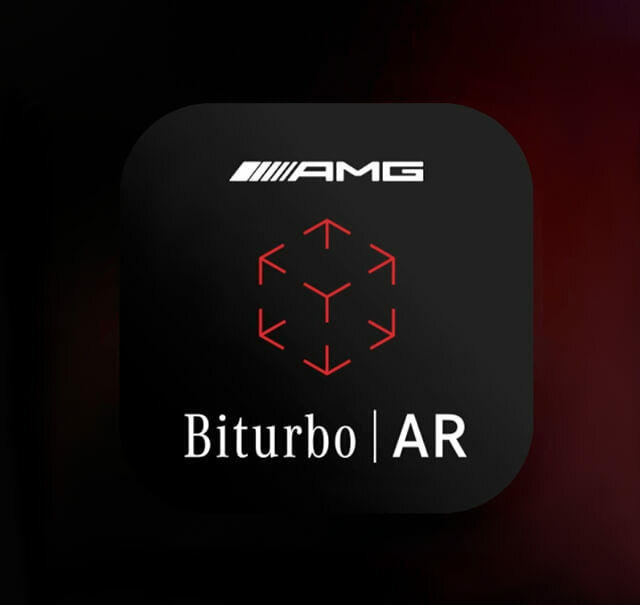 The app is based on Apple’s brand new AR Kit II and the operation system iOS 12. Since Apple only made these versions available to the public on September 17, the app was developed in the beta versions. 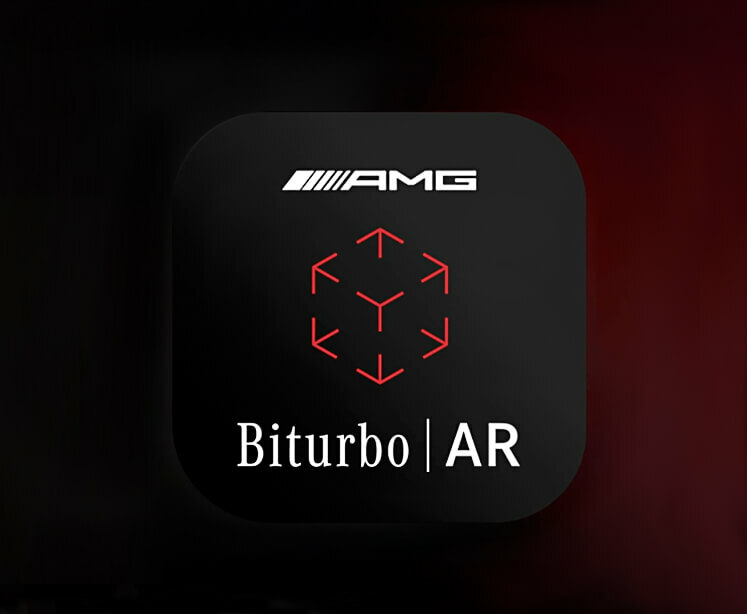 AMG’s AR application can only be played on the iPad pro, as this complex application requires increased hardware performance.